For the Halloween crafter inside all of this, this simple Halloween sheet cake is a fun, easy dessert to make. Devil’s food cake is very dark chocolaty color, but a red velvet cake would look just as fitting and festive for the bat, too. 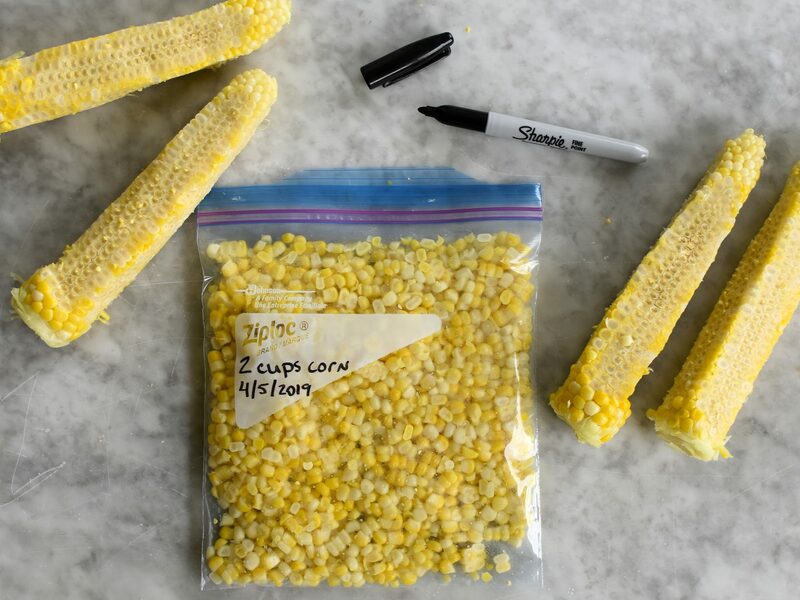 Piping bags and tips are found in craft stores or specialty baking shops. Be sure to cut the cake rounds in the prescribed order so that the bat’s head with ears comes out as 1 of the cuts. For a spooky spin on your Halloween-inspired sheet cake, look no further than this festive witch's hat cake. We opted for boxed cake mix for simplicity, but if there's a homemade recipe you prefer, that works too. As long as you're ready to get a little crafty and extra witchy, this easy, Halloween dessert will come together in a flash. This epic bundt-on-bundt cake earns its title by mimicking a children's jack-'o-lantern candy pail at the end of a highly successful night of trick-or-treating. It's guaranteed to be an instant hit at any Halloween party--especially once you cut in and let the haul of candy spill of for your guests. In order to create the full pumpkin pail cake pictured, you will need to double the Pumpkin-Walnut Bundt Cake recipe below to make 2 bundt cakes. 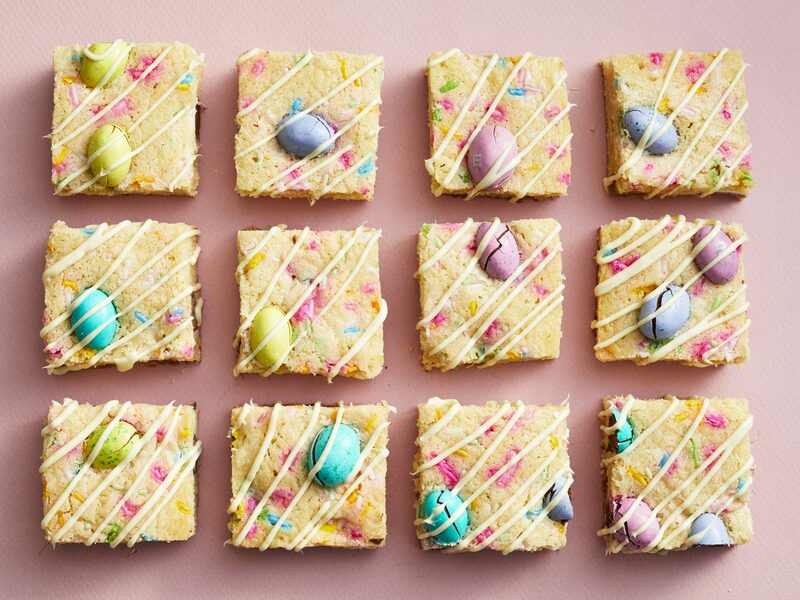 For best results, we recommend preparing the 2 batches of cake batter separately, rather than doubling the ingredients listed and dividing the double batch of batter between 2 bundt pans. If you only have 1 bundt cake pan at home, you can prepare your first cake all the way through baking, then clean the pan and prepare the second cake while the first cools on a wire rack. All of that said, this toasty and perfectly spiced fall cake is a delicious, crowd-pleasing treat even without all of the bells and whistles, so preparing just on bundt to enjoy for dessert is a fine way to go. But if you take this route, you will only need half the amount of Cream Cheese Frosting (and you don't necessarily need to color it pumpkin orange). Make two recipes of this pumpkin cake and create your own tasty pumpkin! Bring Halloween cheer to the dessert table with this too-cuke cheesecake. Keep it simple by preparing just about everything for this cake ahead of time. The flavors of gingerbread, salted caramel filling, and pumpkin cream cheese frosting marry to become the ultimate fall and holiday poke cake. This cake is a great snack cake or dessert and it's pretty enough to serve to guests. 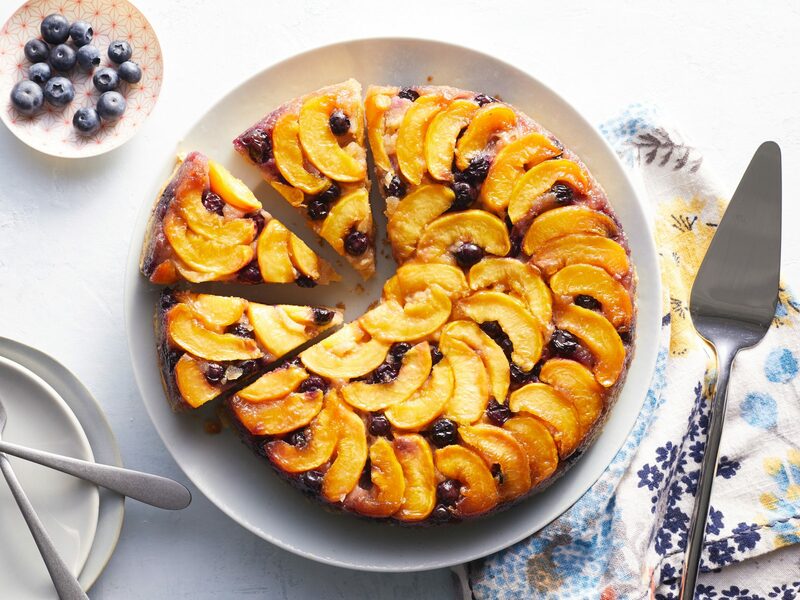 One taste and you're sure to bring this cake to potlucks all season long. 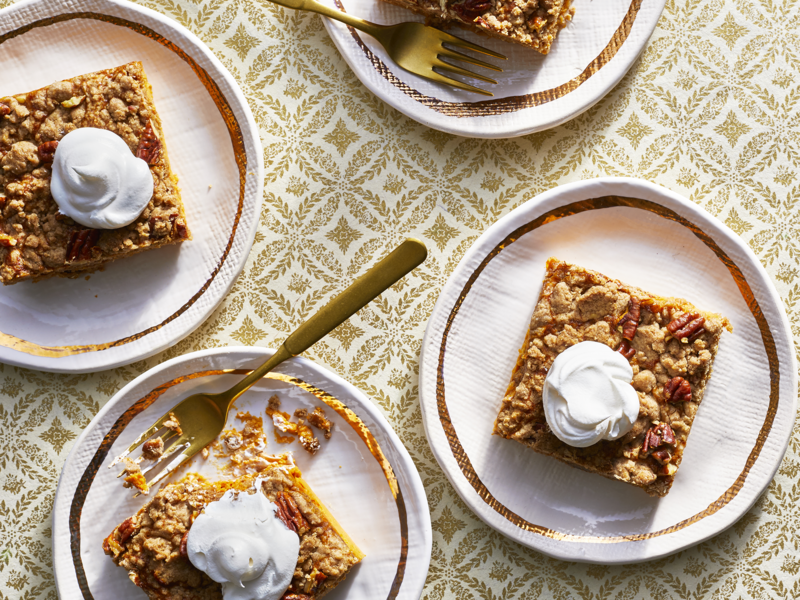 Pumpkin, a classic holiday flavor, gets blended with a yummy pecan streusel and doused with a fudgelike icing in this cake, an Editors' Favorite. 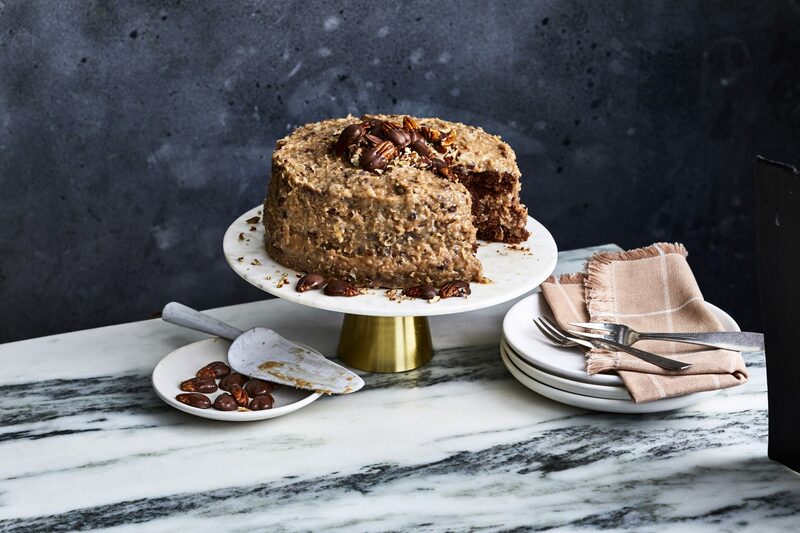 There's nothing more festive than ending your holiday meals with a beautifully garnished cake like our Marbled Pumpkin Praline Cake. This wintry white cake showcases sugared pecans, kumquats, and bay leaves. 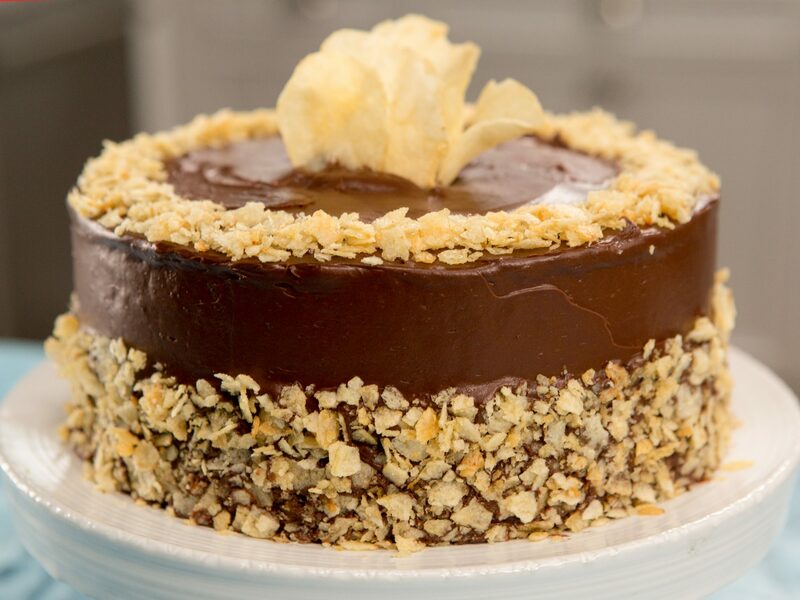 Halloween desserts definitely call for having a little extra fun in the kitchen. This kinda-cute, kinda-creepy Graveyard Cake is easy to make, fun to decorate (so recruit the kids’ help), and is sure to be a perfectly spooky centerpiece for any Halloween dessert table. Black icing transforms store-bought cookies into perfectly-sized miniature headstones for the chocolate-frosted graveyard cake. And once you’ve placed your headstones, crumble chocolate wafer cookies around each to create “dirt.” Just be sure to make each "gravesite" the serving size you want to ensure easy slicing. Disperse a few candle “lanterns” throughout the chocolaty graveyard and you have the perfect cake for a Halloween birthday party. The classic chocolate cake recipe here is decadent and moist standby, but if you’re in a pinch for time, feel free to use your favorite boxed cake mix instead. 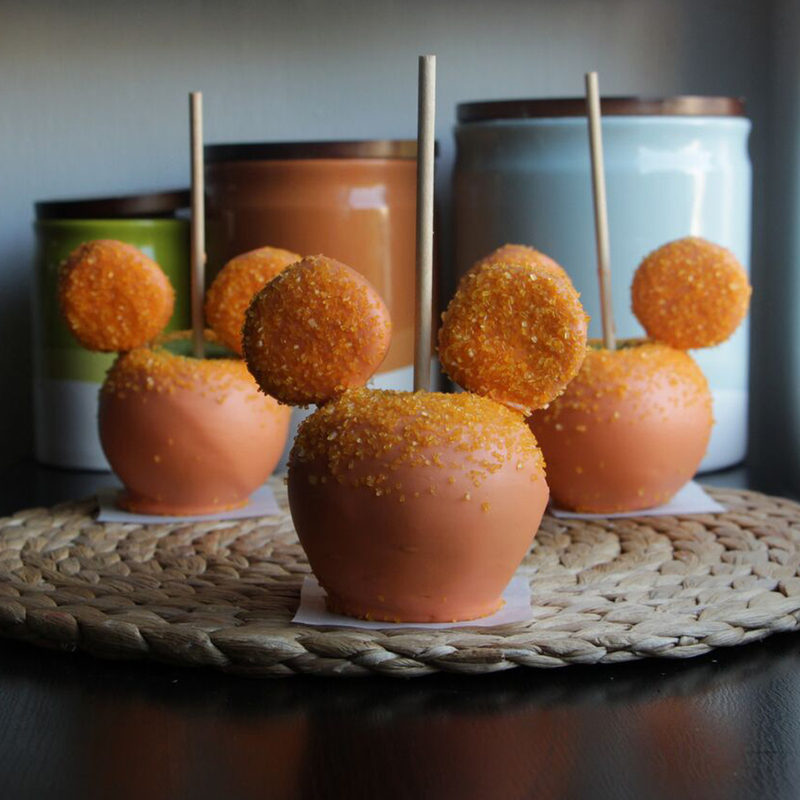 Obviously, it’s all about the decorating on for this Halloween-inspired treat. This incredibly fudgy flourless chocolate cake is a much better way to satisfy your own spooky sweet cravings than dipping into your kids’ Halloween candy. Dark and delightful, this rich and chocolatey cake only requires five ingredients and about an hour to pull together. That said, this decadent Halloween dessert does need to chill for at least 6 hours before you slice, so plan accordingly. After the cake has chilled and you’ve covered it in a sleek layer of chocolate glaze, simply draw on your spider web using a white icing pen. Keep in mind, your web doesn’t have to be perfect! Finish it with a couple of candy spiders or draw your own with the icing. Trust us, a chocolate-on-chocolate spider web cake is a welcome addition to any Halloween party. Family and guests alike will give thanks over this decadent, seasonal Pumpkin-Chocolate-Swirl Cheesecake. 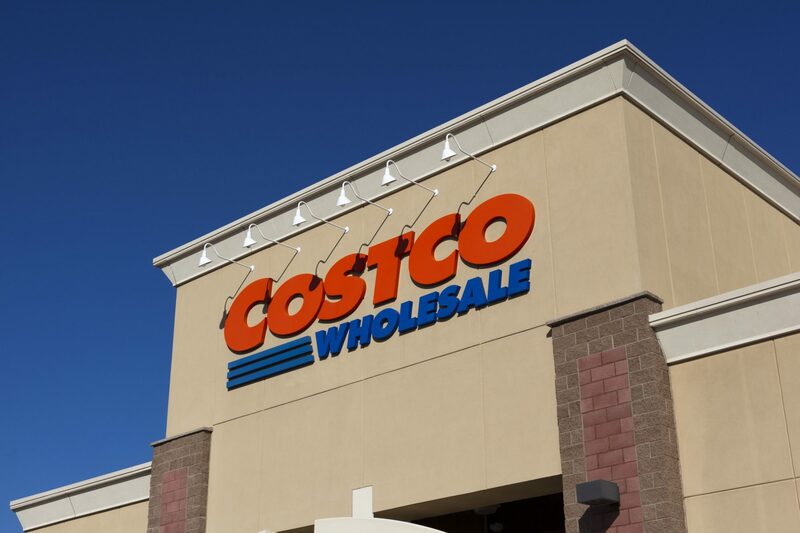 If you’re looking for the perfect fall dessert, let the hunt stop here. This incredibly moist pumpkin pound cake is one of our favorite cakes of all time. Don't let this creepy cake fool you, it's infused with hauntingly-good spices, rich pumpkin flavor, and a decadent chocolate drizzle. Even the little ghosts are edible! 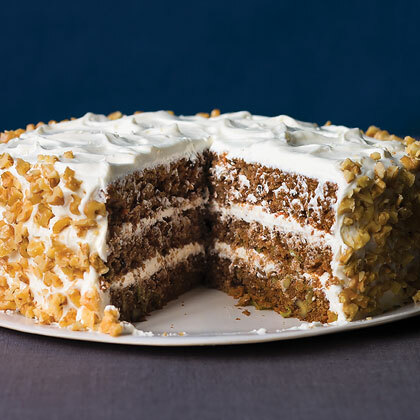 If you like pumpkin pie, you'll love this cake's subtle spice flavors and velvety cream cheese frosting. 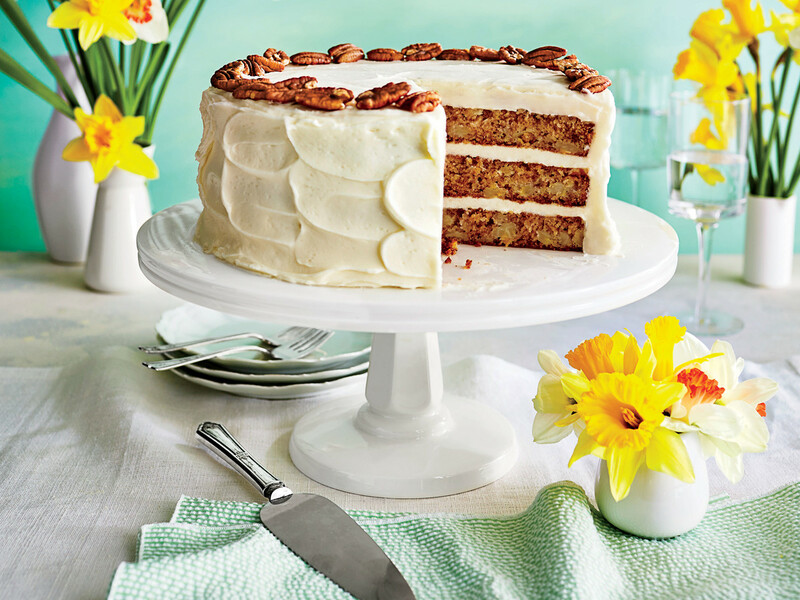 The slightly sweet and mild pecans add a pleasant crunch to the smooth frosting. Create a marbled bundt cake centerpiece for your fall party by layering two batters (one flavored with pumpkin, the other cocoa) into a bundt pan. Simply draw a knife through the batters to create your own design. Candy corn has never looked so good. Pumpkin cake is moist and fluffy and a great change-up from classic pumpkin pie. Just a few little almond slices make these ladyfingers have quite the fingernails!